The art for sale below is by the Australian artist Michael Leunig who was born in 1945 in East Melbourne. In 2000 he was declared a National Living Treasure by the National Trust. ArtLoft is proud to offer original paintings and works on paper by Michael Leunig – one of Australia’s most popular artists. 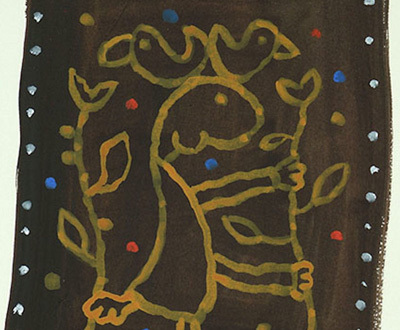 These artworks have been sourced directly from the studio of Michael Leunig. They include a selection of rare trial and colour proofs from various editions of Leunig’s printmaking work. What Leunig paintings are currently available? Michael Leunig’s paintings are highly sought after and this question is best answered by getting in contact with us directly by clicking on one of the enquiry buttons above a work or via one of the contact options listed on the contact page. 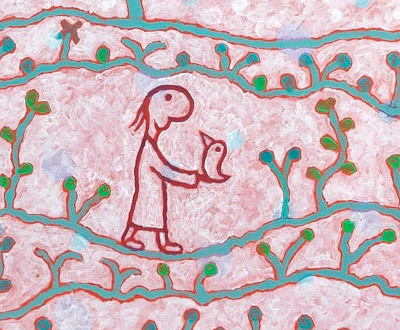 What is the price for a Leunig painting? The asking price for an individual painting depends on a range of factors and although the size of a painting is relevant it may not be the most important factor in regards to the price of the work. Other considerations such as the age of the painting and its imagery may also come into consideration. It is best to contact us directly so that we can discuss individual works and their price. If you see a Leunig painting that you like that already sold, or has been reproduced in another form, let us know and we can then see if any works that may be of interest to you are currently available. Alternatively if you have a certain price range in mind let us know and we can then discuss with you what paintings are available in that range. Are the paintings on canvas? They often are but Leunig also paints on board and linen. Acrylic paints are mainly used but sometimes Leunig mixes in other media. Most of Leunig’s paintings come shadow-mounted in handmade box frames. The frames are usually wood – Blackwood or Lime-wash being commonly used – and are simple but elegant in style. These frames are usually included in the price of the painting. If you are interested in purchasing a work without a frame this can be negotiated on a case by case basis with the final decision to sell the work unframed being with the artist. Please feel free to contact Justin Combs if you would like to see an image of what these frames typically look like. We have successfully negotiated commissions for clients in the past. Acceptance of the commission is of course at the discretion of the artist. Please get in contact if you would like to discuss this in more detail. What are the Leunig prints you have available? The Leunig prints we sell are hand-signed ‘original’ limited-editions. By original we mean that the image made on the plate used to print the edition is not a photographic reproduction but is handmade. The prints are individually numbered and are hand-signed in pencil by Leunig (usually under the right hand corner of the image). 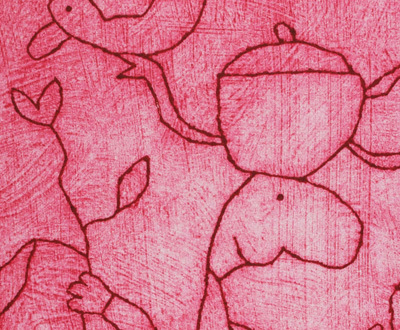 Leunig uses a range of techniques to produce these prints. Currently he has been making engravings but etching, collagraphs and lithographs have also been created. Do the prints come unframed? Yes – and the prices featured on the website are for an unframed edition of the print (unless noted). We find that a lot of clients like to select their own frames. We can assist with framing and have framers in Melbourne, Sydney and Brisbane who offer our clients a discount on their framing services. What are the Leunig brush-drawings you have available? These are ‘one-off’ original drawings in the sense that each artwork is individually hand-painted (or drawn) by Leunig onto paper. They are individually signed by the artist and are usually sold unframed but we can assist with framing as described above. Do you ship Leunig’s artworks? Yes – and in most cases shipping is free within Australia for unframed works on paper and for framed paintings. Shipping is tracked and insured. International shipping is also available and in most cases is easily organised. Please contact us if you would like a quote for international shipping. If you have any other questions please feel free to contact Justin Combs directly by clicking on one of the enquiry buttons when viewing a particular Leunig work or via one of the general contact options below and on our contact page.